Today I pick up on my Decades series, where I dive into the albums of a given year in the 70s, 80s, 90 and 00s. I started with my birth year, 1972, then featured 1982, ’92 and ’02. Then I backed up a couple of years to cover 1970 and 1980, and starting today I’ll tackle 1990. This is the year I turned 18 and started college, a time when I started expanding my musical horizons, and yet I had a hard time coming up with albums I really like from the year. I found a lot more that I missed out on, and I’ll cover those over the next couple of weeks, but this week I’ll count down my five favorite 1990 albums. I last featured a John Wesley Harding song a little over a year ago and at the time I predicted I’d revisit him five years later. So thanks to iTunes’ random algorithm, I’m four years ahead of schedule. 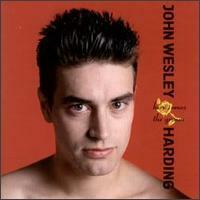 It’s appropriate that I’m featuring a John Wesley Harding song in the midst of my Elvis Costello weekends. The poor man has been compared to Costello so often for so many years… why should he escape that here? Of course being compared to Elvis Costello is quite a compliment, so I doubt he’s complaining. And he did hire most of The Attractions to back him on his best album, Here Comes the Groom, so it’s not like he doesn’t invite the comparison. 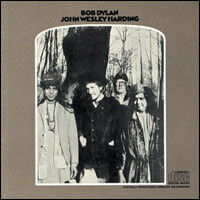 John Wesley Harding is probably best known for ‘All Along the Watchtower,’ although it would be more accurate to say that ‘All Along the Watchtower’ is well-known because of Jimi Hendrix and John Wesley Harding is best known as the album that contains the original version. The only other song that made any sort of commercial splash was ‘I’ll Be Your Baby Tonight,’ the album’s closing track, and it wasn’t until a 1990 cover by Robert Palmer and UB40 that it reached the charts. You can hear that version here but I don’t recommend it on a full stomach. It’s easy to break Bob Dylan’s career into segments: we’ve already noted the shift from the political to the personal and the shift from acoustic to electric, both of which were examples of Dylan changing his musical direction. Now we come to a shift that was caused by an unplanned event changing him. 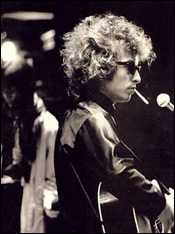 In July of 1966, just two months after the release of Blonde on Blonde, Dylan was in a serious motorcycle accident. Though the extent of his injuries remains unclear, the more lasting impact was emotional. Dylan ceased touring, withdrew from the limelight and concentrated on his life as a family man.